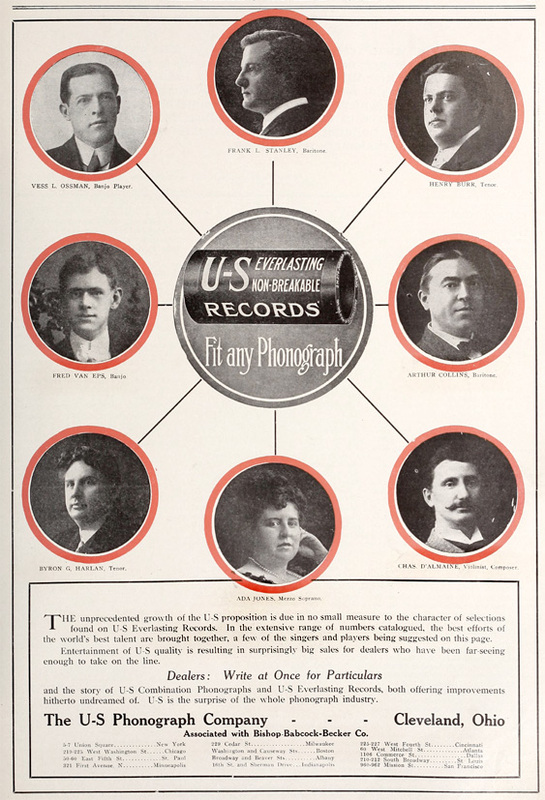 Clockwise, from top: Frank C. Stanley, Henry Burr, Arthur Collins, Charles D’Almaine, Ada Jones, Byron G. Harlan, Fred Van Eps, Vess L. Ossman. 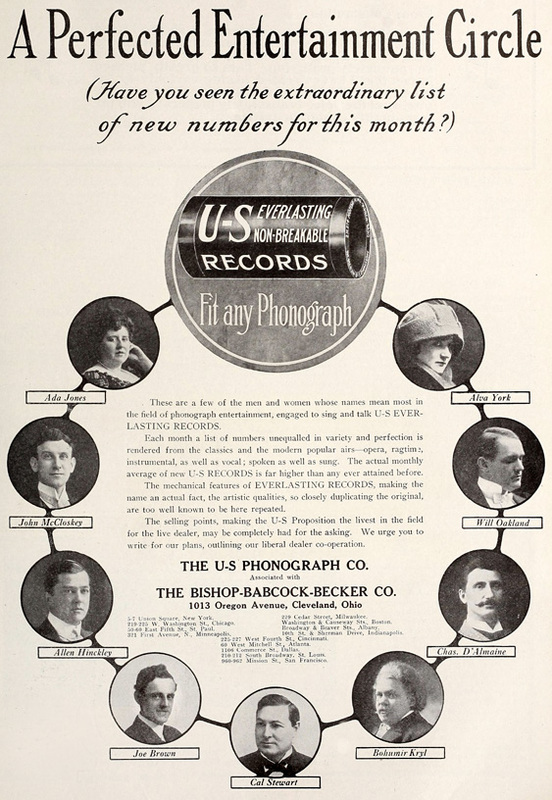 Stanley died just a few months before this ad appeared, but most of his records remained in the catalog until U-S Phonograph’s end. 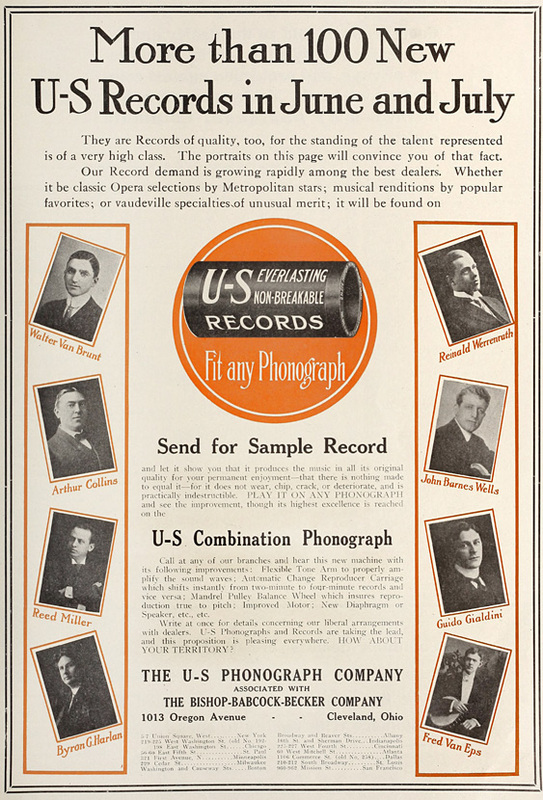 This ad contains the only photo we’ve seen of the elusive Joe Brown, who also recorded for several of the smaller disc companies (including International Record, as early as 1906). 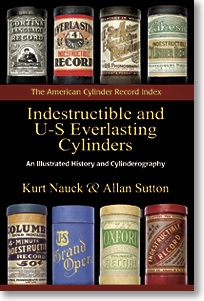 For details on all U-S Everlasting recordings, be sure to check out Indestructible and U-S Everlasting Cylinders: An Illustrated History and Cylinderography (Kurt Nauck & Allan Sutton), available from Mainspring Press and many major libraries. .